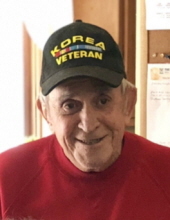 Charles Steven Tingo, 85, Phillips, Town of Flambeau, died at his home on Thursday, March 21, while under the care of his family and Flambeau Home Health and Hospice. He was born on June 11, 1933, the son of Charles and Jennie (Ciscon) Tingo. He was a 1951 graduate of the Phillips High School. He served his country in the United States Army during the Korean War. He was married to Mary Christman in Phillips on September 17, 1956, and she preceded him in death on October 18, 1985. He was married to Jeanette Dunbar on October 17, 1991, in Las Vegas, Nevada. He was a 30 year employee of the Dayton/Hudson Company in Minneapolis, MN, retiring in 1988. He returned to Phillips following his retirement. He drove school bus for the School District of Phillips for many years. He was a member Saint Therese of Lisieux Catholic Church of Phillips, of the Lane Kreiling American Legion Post No. 122, and a Life Member of the Frank and Michael Baran VFW Post No. 5778. In his free time he enjoyed baseball, golf, playing cribbage, watching all sports, bowling, hunting, fishing, riding through the woods, baking kolaches, baking rye bread for EVERYONE, gardening, and most important, spending time with his family. He is survived by his wife, Jeanette; by four children, Mike (Kathy), Medford, John (Kandi), Phillips, Tom (Kathy), Cottage Grove, MN, and Peggy (Vic) Peppe, Minneapolis, MN; by three step children, Randy (Cindy) Bolton, Phillips, Barbara Bolton, Weston, WI, and Dorothy (Ty) Bolton, Marenesco, MI; by 13 grandchildren and 11 great grandchildren; by five siblings, Antoinette Klimowski, Marie Fojtik, Jean Polacek, Ron (Diane) Tingo, and Ken (Karen) Tingo, all of Phillips. He is preceded in death by his first wife, Mary; and by one grandson, Trevor. Memorial services will be held at 10:00 A.M. on Saturday, March 30, at Saint Therese of Lisieux Catholic Church in Phillips with Father Gerald Hagen celebrating the Funeral Mass. Military Honors will be conducted by the Lane Kreiling American Legion Post No. 122 and the Frank and Michael Baran VFW Post No. 5778. Inurnment will be in the Saint Patrick Cemetery in Phillips. Friends may call at the church on Saturday, March 30, from 9:00 A.M. until the time of services. To plant a tree in memory of Charles Steven Tingo, please visit our Tribute Store. "Email Address" would like to share the life celebration of Charles Steven Tingo. Click on the "link" to go to share a favorite memory or leave a condolence message for the family.